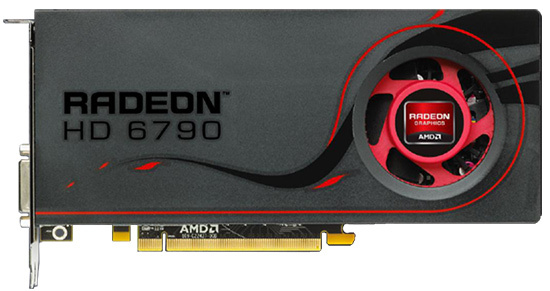 With their top of the line offering released and out of the way, AMD has expectedly put together an answer to NVIDIA’s GTX 550 Ti mid-range card. The new graphics unit retails for the same ($149), and comes clocked at 840MHz for graphics and shader speeds with 1GB of GDDR5 at 4.2GHz. We got reviewers acknowledge that this may have been a late response to their competitor’s GTX 460, but that’s a card that is slowly leaving the scene to be replaced by the less powerful GTX 550 Ti (awkwardly). 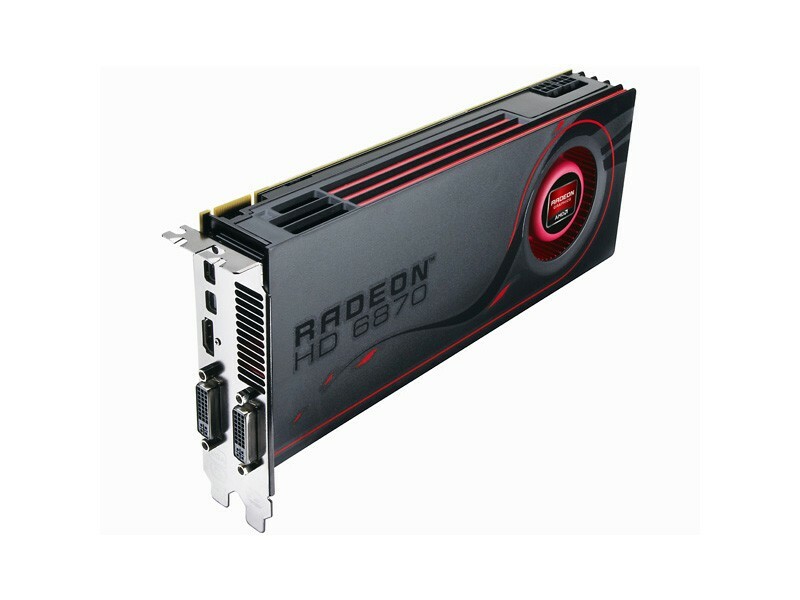 If you’d want the latest video card for this particular price point then AMD’s solution does seem like the better option, but the new HD 6790 is suffering the same fate as its counterpart alternative since an HD 6850 can be had for close to the same price with rebates (if you don’t mind them that is). In all it’s a good card, and a tad lower price would have made it superb. All the detailed info and benchmarks below. Word’s out, and these cards are to be officially released this Friday. Port outputs on these cards remain the same from the pictures we seen earlier, there’s the standard dual DVI, one HDMI 1.4a, and two Mini DisplayPorts. What we know about power requirements so far, is that the HD 6870 would need two 6-pin PCI-E power connectors whereas the HD 6850 needs only one. There’s also a video of these cards being run on AMD’s Mecha Rampage Demo we included down below. 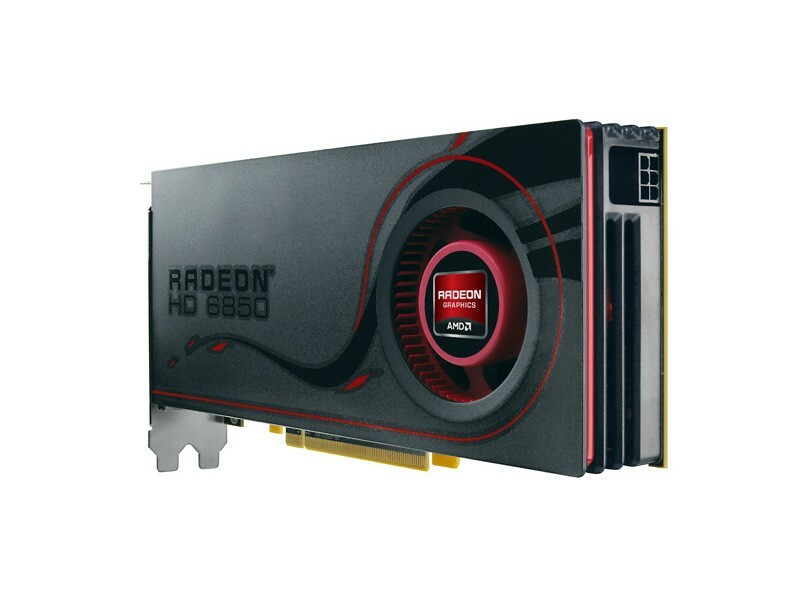 Okay, we’re looking at a week or so before AMD lets loose those much anticipated brand new flagship graphics cards. According to Fudzilla, if they are right, the HD 6870 and 6850 should be available for public consumption next Friday (Oct. 22). It is said that AMD had already begun shipping its parts to several vendors, and their sales will solely reflect on how they compete with the cards that are currently on the market. 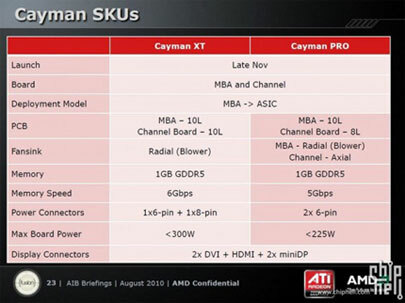 Surprisingly this pair of cards are still both based on the Barts core (PRO  and XT ), with the faster Cayman core for the top-of-the-line (and even faster) parts later this year, perhaps the HD 6890, 6970, or 6950. 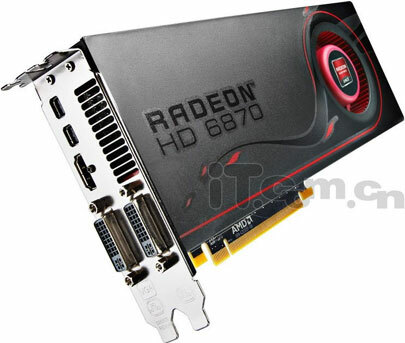 AMD’s HD 6870 and 6850 should come with the standard 1GB of GDDR5, HDMI, DVI-I, DVI-D, and DisplayPort outputs (2 for the 6870).